CRYOGENICALLY TREATED 440C stainless steel. 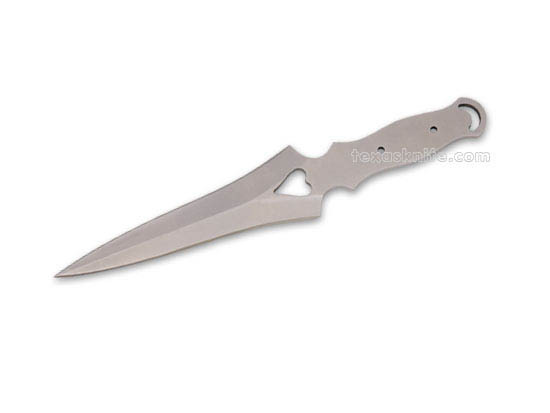 6-3/8" overall length, 3-5/8" long blade that is 1-1/4" wide and 3/32" thick. Use 3/32" pins. Satin finished with a dainty heart cut-out which makes it appealing to women. No sheath available at this time.